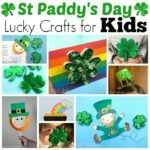 Are you looking for fun Rainbow Crafts for kids? 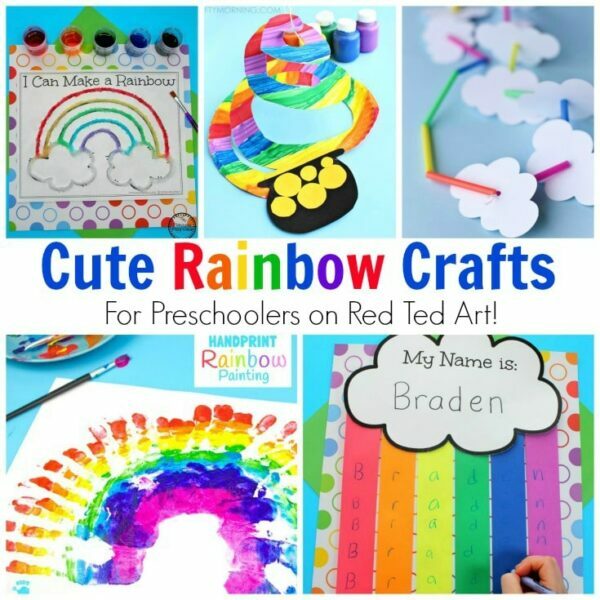 This adorable collection of crafts includes all the color and fun of rainbows with fine motor skills, patterns and other early skills practice. They are excellent for allowing children to be creative, play and learn at the same time. 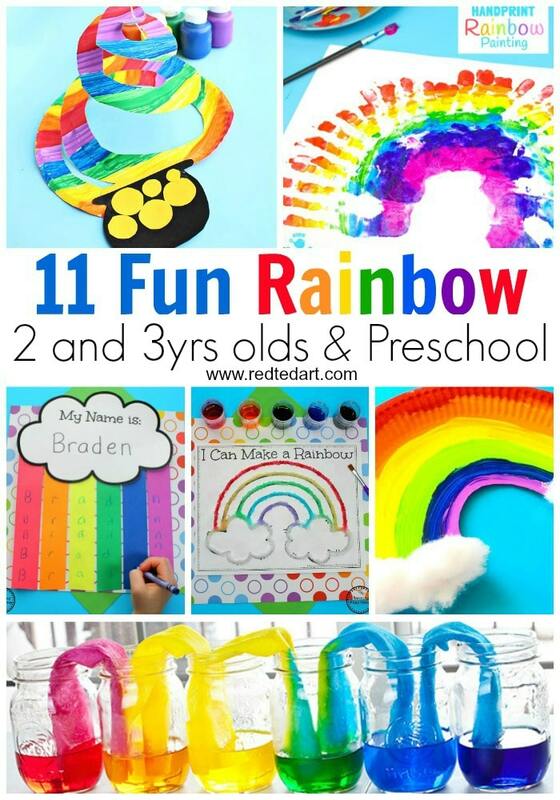 Here is our list of fun rainbow crafts for preschool. Rainbow Cookies || Red Ted Art – easy and fun.. as well as lesson in colour theory. See the dough mix together to create new colours of the rainbow! 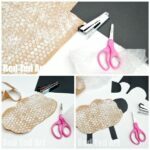 Rainbow Lanterns || Red Ted Art – brilliant and easy – a great fine motor skills activity with pretty results. Rainbow Name Craft || Planning Playtime – How fun is this? The children get to practice spelling their name over and over again in their own special rainbow. Get the printable at the link above. Walking Rainbow || STEAM Powered Family – Isn’t this adorable? Walking water is a fun way to add a little science to your art activity. Exploring color mixing is easy with this simple rainbow activity. Rainbow Salt Painting Process Art || Planning Playtime – Kids LOVE salt painting! It is magical to watch the liquid watercolors travel through the paint, and it is great fine motor practice as well. Find the printable at this link. Gorgeous Handprint Rainbow Painting || Kids Craft Room – I’m a sucker for handprint art. 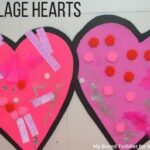 It’s a wonderful way to create a beautiful keepsake with your kids this spring. Use the colors of the rainbow for this simple art activity. 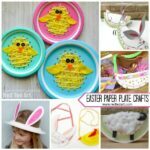 Easy Paper Plate Rainbow Craft || Arty Crafty Kids – Paper plate crafts are my go to project. We always have a stack laying around for fun and easy rainbow crafts like this. Let your kids creativity run wild with the bright colors as they make their own rainbows. 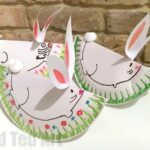 End of the Rainbow Paper Plate Twirler || Crafty Morning – We love twirlers, and these could made as Paper Plate Twirlers too. I can’t wait to give this one a try! Another great way to use that stack of paper plates for your rainbow craft creations! Your rainbow twirler is perfect for decorating your learning space for spring. 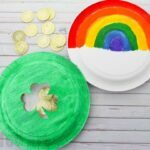 Handprint Rainbow || A Dab of Glue Will Do – This sweet hand print rainbow craft is perfect St. Patrick’s day! Your little artist will make a pot of gold and rainbow to display this spring! 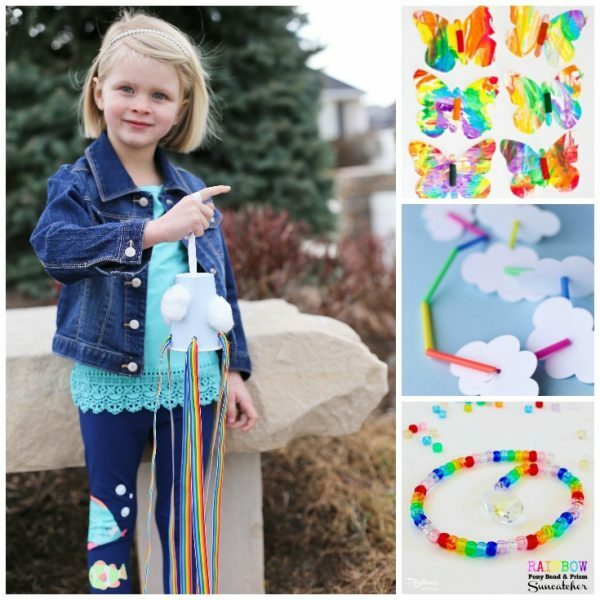 Drinking Straw Rainbow Necklace || Planning Playtime – Kids will love making and wearing this fun rainbow necklace. They can make rainbow patterns with the straws, and it’s excellent fine motor practice as well. 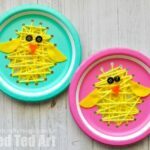 Rainbow Marble Butterfly Pasta Art || Hello Wonderful – Spring is right around the corner! Kids that love watching butterflies hatch will really enjoy with rainbow themed activity. This beautiful rainbow butterfly is the perfect art activity for spring. Grab bright colors to make a marbled look! 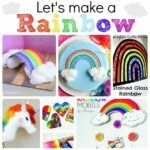 Rainbow Wind Sock Craft || Planning Playtime – This colorful weather craft is such a fun way to head out and experience wind and how it moves things. Children will love watching the ribbons flutter in the breeze. Rainbow Pony Bead Prism Suncatcher || Rhythms of Play – I’m in love! This is a simple fine motor activity to add to your rainbow creations. You’ll need a sunny window to hang your creations!